So, after reflecting on the best jazz albums, artists, and moments of 2010 at the Grammy Awards last week, I noticed that 2011 has already produced many great albums. Even though 2010 has brought us great albums as Esperanza Spalding’s Chamber Music Society , Christian Scott’s Yesterday You Said Tomorrow (which I thought deserved a nomination for best contemporary jazz album), Jason Moran’s Ten, and Vijay Iyer’s Solo; 2011 appears to be a big year for the next generation of jazz musicians. I have made a list of recent and upcoming album releases of artists who are currently, in my opinion, the top modern jazz artists of today. Enjoy! If you know of any great jazz albums that have been released or are being released this year, feel free to share with me at jazzinperspective@gmail.com. Joe Lovano has been identified as one of the most innovative, dynamic, versatile tenor saxophonist today. Stretching the traditional norms in jazz, Lovano strives to add a different and new way in which he approaches his music. This includes exploring different organizations of instrumentation and different interpretations of well-known iconic jazz legends. His music has even covered every jazz era starting from his Cleveland roots to the genre we refer to as modern jazz. In the past, Joe Lovano has experimented playing with a nonet (a 9-piece ensemble), symphony orchestra, trio, vocalist, piano/saxophone duos, and recently a double drummer group. Lovano has also produced albums that highlight many different jazz legends and their music like Frank Sinatra, Miles Davis, Hank Jones, Coleman Hawkins, Ben Webster, and Charlie Parker. His music has been widely received both nationally and internationally winning him many Grammy nominations and awards. Joe Lovano continues to deepen his understanding and conception of jazz surprising the jazz world with his innovative arrangements and unique compositions. His latest album Bird Songs, with his new group Us Five, features a modernized interpretation of bebop legend Charlie Parker. 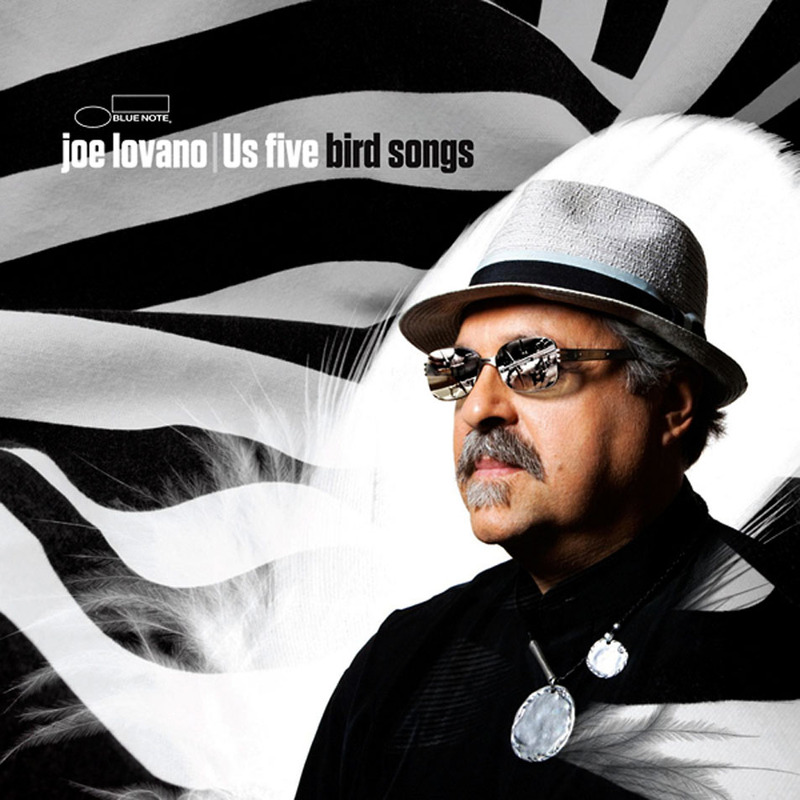 Using Otis Brown III and Francisco Mela on drums, Esperanza Spalding on bass, and James Weidman on piano, Lovano accomplishes an adventurous through Bird’s famous compositions. Joe Lovano also adds a personal and unique perspective on one of jazz most influential figures. To check out and hear samples of Joe Lovano’s new Blue Note Record album, visit his website at www.joelovano.com. If you would like to purchase Bird Song, click here. Brad Mehldau is one of the most hailed pianist of all times with his dynamic approach and spontaneous improvisation. Ever since the beginning of his career, Mehldau has explored the artistic beauty of trio playing along with solo performances. He has also demonstrated his unique ability of playing duos with other pianists and instrumentalist like Joshua Redman, Kenny Barron, and Pat Metheny. His lyrical and intimate style of playing has brought him to play with musicians like Peter Bernstein, Kurt Rosenwinkel, Mark Turner, Charlie Haden, Michael Brecker, Wayne Shorter, John Scofield, and his current group Larry Grenadier and Jeff Ballard. Brad Mehldau has performed around the world, introducing and sharing his expressive and abstract compositions. His deep understanding of how ideas unfold has attracted many audiences and has brought a unique spotlight. Just recently, Brad Mehldau was featured in Downbeat Magazine after the surprising announcement that he would be the first jazz musician to occupy the Richard and Barbara Debs Composer’s chair at Carnegie Hall for 2010-2011. This is an honorable yet controversial position for it shares it with composers and musicians like John Adams and Elliot Carter. Mehldau continues to perform and uncover an intensity driven experience in jazz. In his latest release Live in Marciac, Brad Mehldau is featured in a way that best exemplifies his true talent—a solo performance. This performance was recorded in 2006 at the Marciac Festival in France and is highly praised by the Los Angeles Times and Huffington Post which says “his technical mastery” is “invigorating” and “simply masterful”. If you would like to buy this two cd, one dvd live album, visit Nonesuch records, Amazon, or iTunes. More information is provided at www.bradmehldau.com. Whether it is grooving on the bass or producing, Marcus Miller is known for his ability to combine many different styles of music like funk, r&b, and jazz. His musicality and artistic philosophy has brought him to play and collaborate with Al Jarreau, the Crusaders, Wayne Shorter, Take 6, Chaka Khan, Kenny Garrett, and many others. In his humble beginnings, Miller recorded as a sideman with musicians like McCoy Tyner, Frank Sinatra, Joe Sample, and David Sanborn. Quickly taking notice, Marcus Miller was picked up by Miles Davis who describes this experience as a time that helped him develop his style. “I learned from him that you have to be honest about who you are and what you do. If you follow that, you won’t have problems.” Marcus Miller later produced the famed Miles Davis album Tutu. Currently, Marcus Miller has tried to revisit those days with Miles Davis creating a tour entitled “Tutu: Revisited”. This project has brought many young musicians like Alex Han on alto saxophone, either Christian Scott or Sean Jones on trumpet, Louis Cato on drums, and Frederico Pena on keyboards. This group has also inspired Miller to even further explore a deeper understanding of funk and groove with his latest performance album A Night in Monte-Carlo. With many of the same personnel, Miller approaches a balance of classical music with jazz. Check out his latest release on Concord Music records at www.marcusmiller.com. For purchasing information, click here. Lastly, Nextbop, a website dedicated to delivering the latest news on next generation artists, has posted an interview by Matthew Kassel with Marcus Miller, discussing his music. If you would like to see Miller’s responses, visit here. Below is a list of the upcoming 2011 album releases. I have sorted them in order to when they are released. If you know of any upcoming album releases that I have missed, feel free to email me at jazzinperspective@gmail.com. Paul Motian’s playing is described by many as a clear flow of energetic yet interactive motions that come together to produce a symphony of deep, rich dark sounds. Ben Ratliff, a jazz critic for the NY Times, describes Motian’s playing as a constant flow of improvisation [that] can seem to get beyond thinking in general.””At the moments of the highest abstraction in his playing, there is the greatest sensitivity, and always the implication of a pulse. Jazz, mostly, is about testing the integrity of a song’s frame. Mr. Motian appears to feel that if you truly respect the frame, you can put anything inside it.” With his perfect time and firm grasp of the groove, Motion’s ability to swing has led him to play with Bill Evans. In the 50’s and 60’s, Paul Motian collaborated with Stan Getz, Lee Konitz, Zoot Sims, and Johnny Griffin. There was even one time when Motian had the opportunity to play with Thelonius Monk. Now, Paul Motian is exploring his avant-garde musicality with many different trios. One of his most famous groups with Joe Lovano on tenor saxophone and Bill Frisell on guitar, has defined a new standard of trio playing. Recording mostly at the Village Vanguard, this trio has emerged as a unique, abstract yet free identifiable unit. Motian’s concept of a trio has since developed leading to his current trio which includes pianist Masabumi Kikuchi, violinist Mat Maneri, and saxophonist Chris Potter as an additional member to the traditional three band ensemble. The last of three live albums, Paul Motion Live at the Village Vanguard, Vol. III continues to change our perspective on how trios interact and communicate. Combining Chris Potter’s avant-garde playing, Maneri and Kikuchi’s own voice, and Motion’s deep dark sound, a trio’s creativity is redefined by a new layer of sophistication and creativity. Vijay Iyer is one of the most intellectual musicians in this generation. The amount of sophistication that Vijay Iyer possess translates into his improvisation and complexity of his lines. His deep-thought compositions dig further to reach a certain emotional level that causes one to not only listen but to engage in the musical conversations that are being exchanged. With Iyer’s technical ability and unique understanding for music, he can transport his audience stylistically to see the music through his eyes and experience the passion that he evokes when he plays. Over the past few years, Vijay Iyer has been creating rich artistic visions that have been praised by many jazz organizations. Starting with his first debut album Memorophilia, Iyer has developed and matured as a musician. Apparent in his recent albums Tragicomic, Historicity, Solo, and soon to be released Tirtha, Vijay Iyer explores the relationships between emotion and intellect. In Tirtha, culture and background is also added to that balance as Iyer plays with two other innovative South Asian virtuosos. These musicians include guitarist Prasanna and Nitin Mitta. This album will be released on March 8. 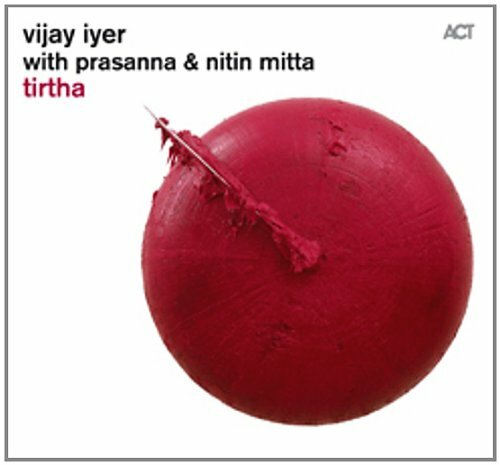 For more information, visit Vijiay Iyer’s official webpage at http://www.vijay-iyer.com/. With a soulful and sultry voice, Gretchen Parlato is considered a virtuosic modern jazz singer. Her approach to music has not always been restricted to the traditional form of jazz but opened to a combination of other styles. Parlato’s ability to effortlessly flow harmonically and rhythmically through a song has defined her as one of the leading vocalists today. As the 2008 Thelonious Monk International Vocal Competition winner, Gretchen Parlato has became well known on the international stage. Following her win, Parlato released her first debut album In a Dream, which has received much attention. Now, Gretchen Parlato comes back with a follow up album, The Lost and Found. This album does not follow the normal style that Parlato has defined in her first album but opens to a greater, more innovative and intimate artistic approach. Adding more instrumentation to her tight-knit quartet arrangement, Gretchen Parlato, yet again, has added a new layer of sophistication and has shifted to create a vocal phenomenon. In addition to her old group consisting of pianist Taylor Eigsti, bassist Derrick Hodge, and drummer Kendrick Scott, this album will feature Dayna Stephens on tenor saxophone and Alan Hampton on bass, vocals, and guitar. Gretchen Parlato describes this album as accepting opposition and embracing the ebbs and flows of life. “One day we may think we’ve found all the answers, and then something suddenly happens that makes us feel completely lost as though nothing makes sense. This is life. Accepting that we are always in transition without attaching a judgment to the experience is freeing. We are always the lost and found.” To find out more about this new release, check out the press release here. You can also visit Gretchen Parlato’s website at www.gretchenparlato.com. Ambrose Akinmusire’s airy but powerful cutting edge tone distinguishes him from other trumpeters in his generation. Influenced by Bjork and Chopin, Akinmusire’s playing reflects a multitude of different styles as he experiments to redefine his approach to conceptualizing jazz. Started at such a young age, Ambrose Akinmusire has since developed and matured as a musician. Playing with such famed musicians like Joe Henderson, Joshua Redman, Steve Coleman, and Billy Higgins before he turned 18 highlights Akinmusire’s ability to play jazz with a familiarity that no other musician has experienced. Now, Akinmusire has been internationally acclaimed, traveling and performing with some of the top jazz musicians like Vijay Iyer, Stefon Harris, Josh Roseman, Mark Turner, the Mingus Big Band, and the San Francisco Jazz Collective. In 2007, Ambrose Akinmusire was the winner of the 2007 Thelonious Monk International Trumpet Competition where his career was formed as a bandleader. Akinmusire currently travels with his group consisting of Walter Smith III on tenor, Gerald Clayton on piano, Harish Raghavan on bass, and Justin Brown on drums. The connection and chemistry of this group is unbelievable as they communicate in every piece they play. The Los Angeles Times reports that “Akinmusire and his band [demonstrates] a remarkably fluid, adventurous interplay and patiently imaginative way with melody.” They have even named him 2011 “Faces to Watch”. Ambrose Akimusire’s upcoming album When the Heart Emerges Glistening will feature this acclaimed group once again. This will be Akinmusire’s first debut album as a Blue Note artist. With recording already on the way, Ambrose Akinmusire shares that he wants this album to reflect a vulnerability and being honest. Using the analogy of the heart glistening refers to examining ourselves in a way that testaments the complexity and uniqueness of an individual. For more information on Ambrose Akinmusire’s new album When the Heart Emerges Glistening, visit www.ambroseakinmusire.com or check out the press release here. Terell Stafford is not the usual “Jazz in Perspective” artist but his powerful trumpet playing and ability to create energy like no other musician has deserved him a spot to be among some of the top musicians. Affirming his position as “one of the [greatest] players of our times” by McCoy Tyner, Stafford defies all musical conceptions. He has successfully ingrained a strong traditional approach within his playing while adding modern touches. Beginning as a classical trumpeter, his affection and attraction for jazz begin to take root in college. It was then that he was discovered by Bobby Watson who mentored him and later gave him the opportunity to play with McCoy Tyner, Steve Turre, Dave Valentin, Benny Golson, Kenny Barron, Jimmy Health, and Jon Faddis. As a Grammy nominated musician, Stafford continues to define his musical style by traveling as a band leader and a band member for Cedar Walton, Herbie Mann, Matt Wilson, and other prominent jazz figures. In his new upcoming album release This Side of Strayhorn, Terell Stafford offers a new approach to the famous music of Billy Strayhorn. His quintet for this album include saxophonist Tim Warfield, pianist Bruce Barth, bassist Peter Washington, and drummer Dana Hall. To learn more about Terell Stafford, visit his website at www.terellstafford.com. This Side of Strayhorn will be release April 5th and will be kicked off with Terell Stafford playing at the Village Vanguard in March. “Tradition and innovation can peacefully coexist,”exclaims Gerald Clayton, a true connoisseur of jazz. Clayton has reinvented the way jazz has been perceived and is known as an up-and-coming pianist to watch. Rhythmically sound and harmonically present, Gerald Clayton swings with a present confidence that is not found in other pianist. His connection to his modern generation and traditional roots has identified him with the next level of jazz artists. Raised up in a musical family—father, bassist/composer John Clayton, and uncle, saxophonist Jeff Clayton—his talent and interest in jazz has developed at a very young age. When he grew older, Clayton was fortunate to study under Kenny Barron, Shelly Berg, and Billy Childs. After spending his last year of college at the Manhattan School of Music, Gerald Clayton’s career as a professional modern jazz pianist has slowly been taken notice by the national and international jazz scenes. Performing with jazz masters like Lewis Nash, Al Foster, Terrell Stafford and Clark Terry and jazz innovators like Ambrose Akinmusire, Dayna Stephens, Kendrick Scott, Roy Hargrove and many others, he still continues to believe that the next generation of music does not have to lack its traditional roots. After his debut album Two Shade, Gerald Clayton is currently touring and exploring with his trio comprised of Justin Brown on drums and Joe Sanders on bass. Just recently, Clayton has announced his next release with his trio entitled Bond-The Paris Sessions. This will be the second release on Emarcy Records. 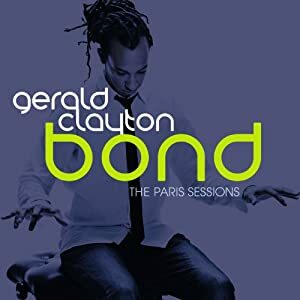 For more information on Gerald Clayton, visit his website at www.geraldclayton.com. James Farm is a dynamic unique project consisting of four members: Joshua Redman on tenor saxophone, Aaron Parks on piano, Eric Harland on drums, and Matt Penman on bass. This collaboration group was created to combine a progressive modern sound with a traditional jazz quartet instrumentation. Each member brings in their own voice and their own style to create a mirage of different art forms like rock, folk, soul, classical, electronica, and many others. Playing rhythmically complex and harmonically sophisticated compositions, James Farm acknowledges a new trend of organic music that relies on spontaneous improvisation and a strong groove. They have announced that they will be releasing a new album in late spring of this year. This group continues to evolve as improvisers and composers. To check out James Farm, visit their myspace page at www.myspace.com/jamesfarmband. Dayna Stephens started his music career in the Bay Area where he was a member of the Berkeley High School Jazz Ensemble. Continuing to study jazz, he went on to attend Berklee College of Music in Boston. There, he studied with jazz luminaries like Hal Crook, Billy Pierce, George Garzone, and Andy McGee. After graduating, Dayna Stephens was selected to participate in the Thelonious Monk Institute at USC which highlights the top young jazz musicians in the world. 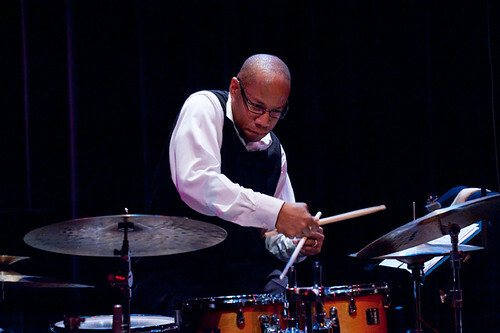 Among a few selected, Stephens worked and studied under Wayne Shorter, Herbie Hancock, John Scofield, Dave Holland, Kenny Barron, Lewis Nash, Mark Turner, Christian McBride, Carl Allen, and Terence Blanchard. This experience is what developed Stephens virtuoso playing. His ability to jump through registers on his horn effortlessly has gained some attention both in the Bay Area and around the world. Dayna Stephens produces an impeccable transparent warm sound which makes him one of the most desired saxophonists in this generation. He also plays the bass which is another thing that sets Dayna Stephens from the other tenor saxophonists. Stephens has announced that he will be producing his second album that will feature Ambrose Akinmusire (trumpet), Jaleel Shaw (alto sax), Taylor Eigsti (piano), Joe Sanders (bass), and Justin Brown (drums). Gretchen Parlato will also be joining this project as a guest artist. For more information on Dayna Stephens, check out his website at www.daynastephens.com. Otis Brown III started off in the church band then later took his talent to the jazz scene. As a sought out musician, Otis Brown III is very present on his drums and grooves with intensity that follows after some of the greatest jazz legends. Although a sideman for many years, his plans to become a band leader falls in his new album release that will be coming out later this Spring. Recently, Otis Brown III is touring in Joe Lovano’s Us Five ensemble that features two drummers, a bassist, pianist, and saxophonist. His high intensity role in this band is what caused him to receive international recognition. During his career, Brown has already played with Larry Goldings, Lenny White, TS Monk Jr., Buster Williams, Reggie Workman, Lewis Nash, and many more. His new release The Thought of You will feature Robert Glasper on piano, Ben Williams on bass, Keyon Harrold on trumpet, John Ellis on saxophone and some other very special guests like vocalists Bilal Oliver and Gretchen Parlato on vocals. This album will be his debut album and will include a lot of original compositions and unique arrangements of identifiable songs. To discover more about Otis Brown III, check out his website at www.obthree.com.